Lee Seung-hun’s career story is filled with failures. But when he looks back and adds all those failures up, Lee said, it equals success. He is now living his dream, working as a creature technical director at the world’s biggest special effects movie company, ILM, with his family in San Francisco. “Star Wars” producer George Lucas founded ILM, which is currently part of the Walt Disney Company. “Be tenacious, commit and execute. It’s really hard, but that’s the best advice I can give to the young who seek their dream job in special effects in Hollywood,” Lee, 45, said in an interview. 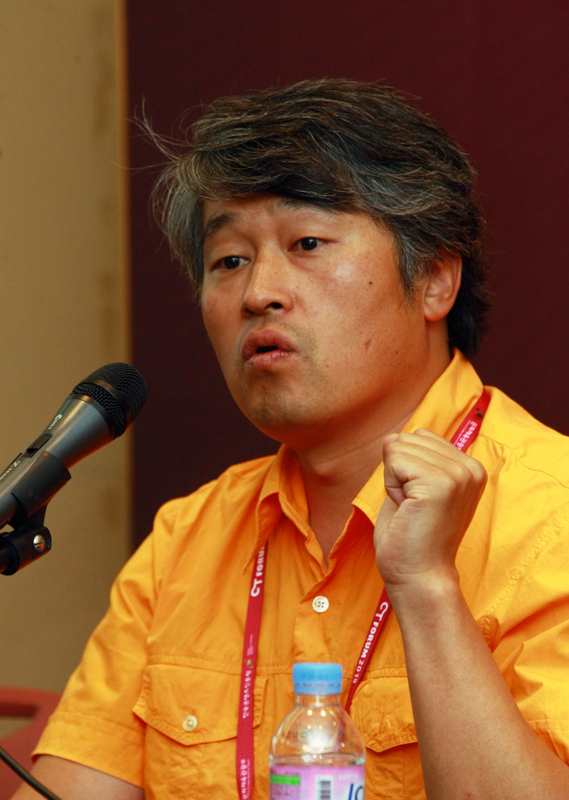 Lee was recently in Seoul to participate in a forum on culture content and technology. The odds have always seemed stacked against Lee’s dream of becoming an SFX specialist ― the first advertising company he worked for was forced to close down in the aftermath of the 1998 Asian financial crisis, so he found himself out of a job. “I went for an interview, and just showed everything I had with confidence,” Lee said. Immediately following the interview, a Korean-Japanese translator showed Lee a thumbs-up sign under the table ― Lee had nailed it. But his hopes were dashed as the joint venture fell through in Japan and Lee once again found himself without a job, until TV production firm Polygon finally hired him. Lee was determined to become a Hollywood movie SFX specialist and kept sending his VHS demo reels to a number of SFX studios, including ILM. “I sent about 100 tapes, and got one call from PDI,” Lee said, referring to the company known for making the 3-D feature animation “Shrek” with DreamWorks. But Lee was unable to capitalize on the opportunity as he could not speak one word of English during the interview. Afterward, he dropped everything and went to study English at a language institute in the U.S. Even then, he kept applying for SFX jobs, with no luck. But an opportunity arose when two companies ― DreamWorks and ILM ― offered him jobs. DreamWorks offered Lee a two-year contract job, and ILM a six-month contract. Lee eventually chose ILM because he always dreamed of making special effects for movies like “Jurassic Park” and “Terminator 2,” which ILM had worked on. His first assignment at the company was creating clothes simulation effects for “Pirates of the Caribbean” (2003), and after six months he became a regular full-time employee. “You really have to know what you want, and not be shy about letting others know what you love. That’s part of networking, and it will help you achieve your dreams,” Lee said.